The Federation of Hong Kong and Kowloon Labour Unions calls for full pay for mothers during maternity leave. They also want seven days of paternity leave with full pay. Working mothers in Hong Kong will be able to enjoy 14 weeks of 80% paid maternity leave, that is an extra four weeks under existing labour laws. The first female chief executive of the city, Carrie Lam Cheng Yuet-ngor announced today in her second policy address that the newly extended leave will take immediate effect for civil servants. The extension is rolled out in view of the “much lower labour participation of women compared to men” and “a lower ratio of managerial roles taken by women” in Hong Kong, said Mrs. Lam. Venda Lee (left) and Luca Paylia (right) think the maternity leave extension is necessary to strengthen family bonding and crucial to children’s emotional needs. Employers can get up to $36,822 reimbursement per employee from the government to pay the leave. For employees with a monthly income of $50,000 or below, the additional four weeks of maternity leave pay will be borne by the government in full. The proposed extended maternity leave brings Hong Kong on par with the International Labour Organisation’s suggestion after the related employment ordinance had remained unchanged for 48 years in Hong Kong. Compared with other locations in the region, the duration of maternity leave in Hong Kong is in line with Japan, but is still shorter than Singapore by two weeks. In mainland China, new mothers can enjoy 19 to 22 weeks off, depending on the province while fathers can get up to 30 days of paternity leave. 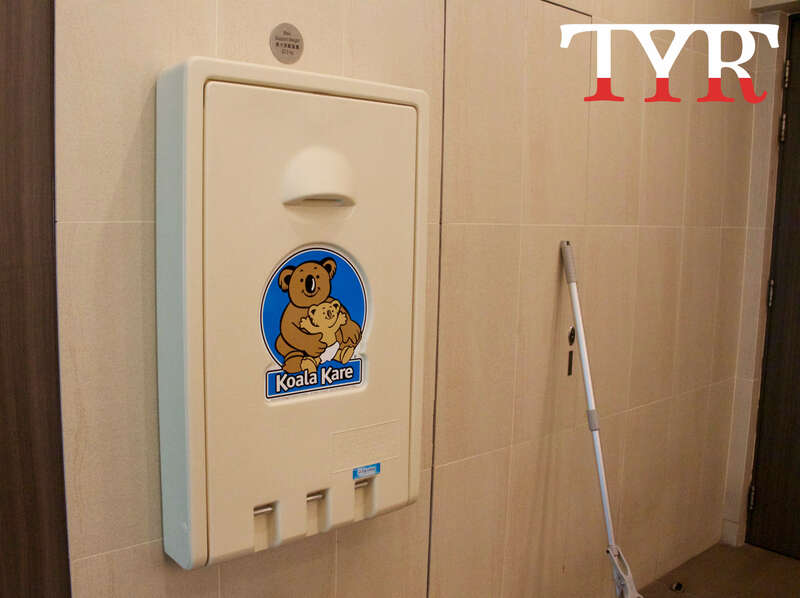 The policy address states that developers must provide baby-care facilities and lactation rooms in future projects. Mothers in Hong Kong have mixed reaction to the 14-week leave. “ I believe 10 weeks are enough,” Katy Lam, an educator and a mother of two believes that the duration of leave should depend on the woman’s occupation. “14 weeks would be better than 10 for sure,” said Venda Lee, a 34-year-old expectant mother, who works as a movie trailer producer. She sees it as a small step by the Hong Kong government to improve on family policy and welfare for pregnant women. “As a mom-to-be, it’s never enough for maternity leave,” Ms. Lee added. Fathers in Hong Kong are entitled to three days of paternity leave at the moment. Lawmakers are scrutinising the Employment (Amendment) Bill and considering to extend the leave to five days. The government will secure support from Legco for the early passage of the bill to increase the parental leave, said Mrs. Lam in the policy address. Luca Paylia, 40, Ms. Lee’s husband, who is from Italy and works in a health-care centre in Hong Kong, said that the existing three days of paternity leave is insufficient. “Ten days would be nice - not consecutively, but in the following period for five months,” he said. Italy provides five months of maternity leave, which helps to strengthen family bond and care for the child’s emotional need, said Mr. Paylia. “Bringing up a child is not the sole responsibility of women. Men also need to shoulder the responsibility,” said legislator Leung Yiu-chung, who calls for paternity leave to be extended to seven days. Legislators welcome the new change of the maternity leave while some say the policy can be further improved. Cheung Chiu-hung says despite the extension of maternity leave, Hong Kong is still below international standard. “It is a bit late, we were behind the international standard,” said legislator Cheung Chiu-hung. 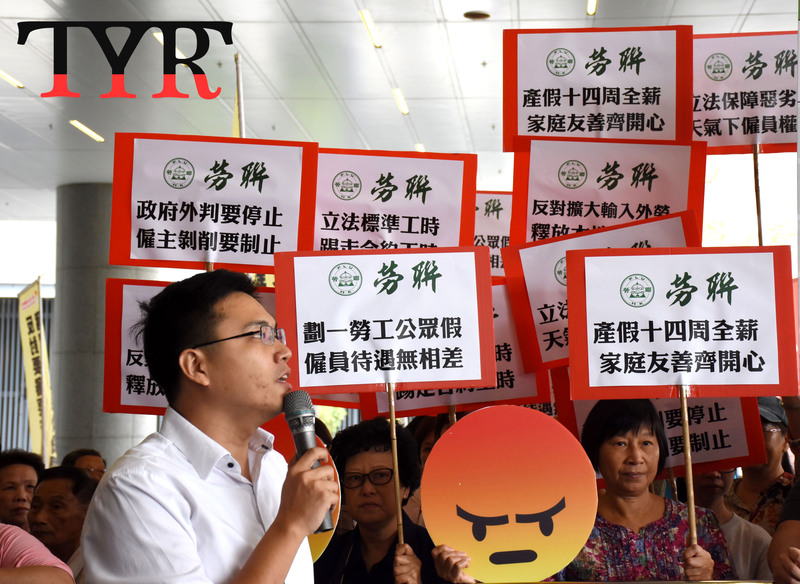 “Employees should have the rights to further negotiate with their employers for more subsidies in the future if the 14-week-leave is still not enough,” said Mr. Cheung. He estimated the subsidy for employers on maternity leave will cost around $40 million. “We think the government can do better, such as paying the full amount of salary to employees instead of taking 20% discount off while they are on leave,” said legislator Helena Wong Pik-wan.